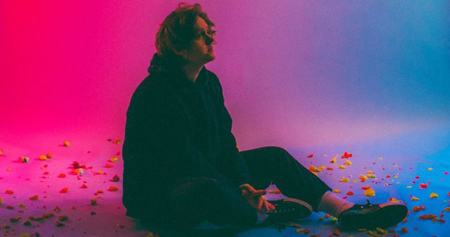 Lewis Capaldi’s Someone You Loved holds on for a fourth week at Number 1 on the Official Singles Chart after his biggest week of streams so far. The hit single clocked up 7.32 million streams and is the most streamed track of the week by more than one million plays. Two acts get their first ever Top 5 singles this week: Tom Walker climbs six places to Number 4 with Just You And I, and Jonas Brothers’ Sucker climbs two to Number 5. Dave collects his fifth Top 10 single with Location, which rises three to 8, and Lauv and Troye Sivan both land their first Top 10 UK single with I’m So Tired, climbing four spots to 9. Further down, Sigrid climbs five places to 15 with Don’t Feel Like Crying, Wiley, Stefflon Don and Sean Paul’s Boasty (ft. Idris Elba) jumps 11 places to 22, and Marshmello claims his fifth Top 40 hit with Here With Me ft. Chvrches, flying 19 places to 23 – earning the Glasgow band their second Top 40 single. Ava Max’s So Am I, the follow up to her hit Number 1 single Sweet But Psycho, zooms 20 places to Number 30, and finally, US rapper and singer Lizzo picks up her first Top 40 hit with Juice, after vaulting 19 spots to 38. This entry was posted on Friday, March 22nd, 2019 at 8:47 pm and is filed under Music News. You can follow any responses to this entry through the RSS 2.0 feed. Both comments and pings are currently closed.